When I was growing up, my family and I lived in a tiny town and a small house that only had 1 bathroom (with no shower). After we moved into our big (to us) house with 2 1/2 bathrooms (and a shower), I never wanted to go back. I learned at the ripe age of 13 that you don’t really realize what you’re missing until you have it. I’ve lived in 10 different homes since that “big house”, and most of them had 2 bathrooms. The home we’re in now, our little stone cottage, is not on the 2 bathroom list. We only have one (small) bathroom and no room for another. We’ve been talking about adding a 2nd bathroom since the first day we looked at this house with our realtor. Once we moved in, we went from room to room looking for extra square footage to add that precious 2nd bath. It didn’t have to be fancy, or big. Just enough space for a toilet and sink. After a lot of thought we finally found some extra room for a small powder room. It’s tiny, to be sure, but it will house a toilet and a sink, which is all we really need. A big plus is that it’s right next to our existing bathroom, which means the plumbing will be easier to do. So where did we get this extra space? We found it in one of the guest bedroom closets. There are only 3 closets in the whole house so it was a difficult decision to get rid of one. 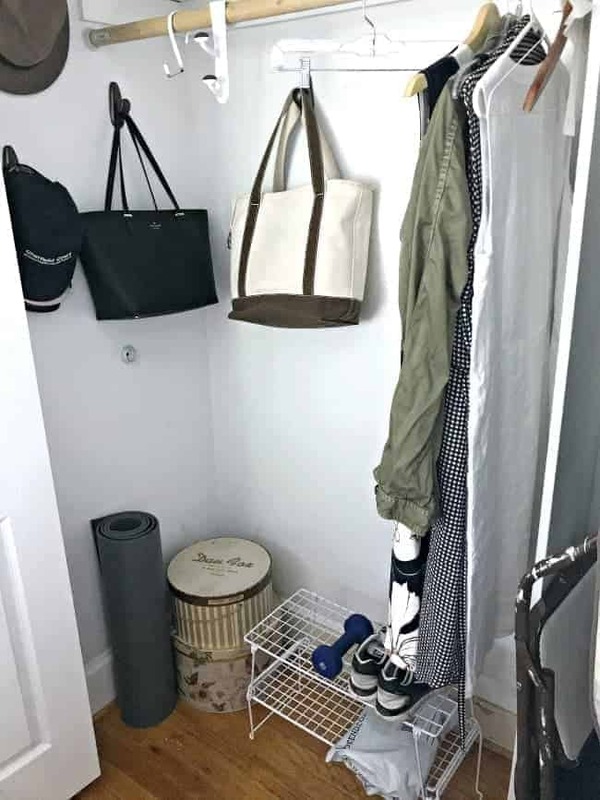 Once we started measuring and planning though, we found a way to make a smaller closet next to the powder room, that was dead space anyway. There was a lot of planning, measuring and debating going on about this tiny space but I think that it’ll all work out. The room isn’t completely done yet, but I thought I’d share what we’ve done so far and ideas on how we’ll finish it. Here’s where we started. We’re pretty sure that this closet was added to the bedroom by a previous owner. It’s pretty evident by the look of the doors and the sheetrock they used to build the outer wall. We removed the shoes and clothes and began demo. The shelves and rods came out as well as all the molding and the sliding doors. 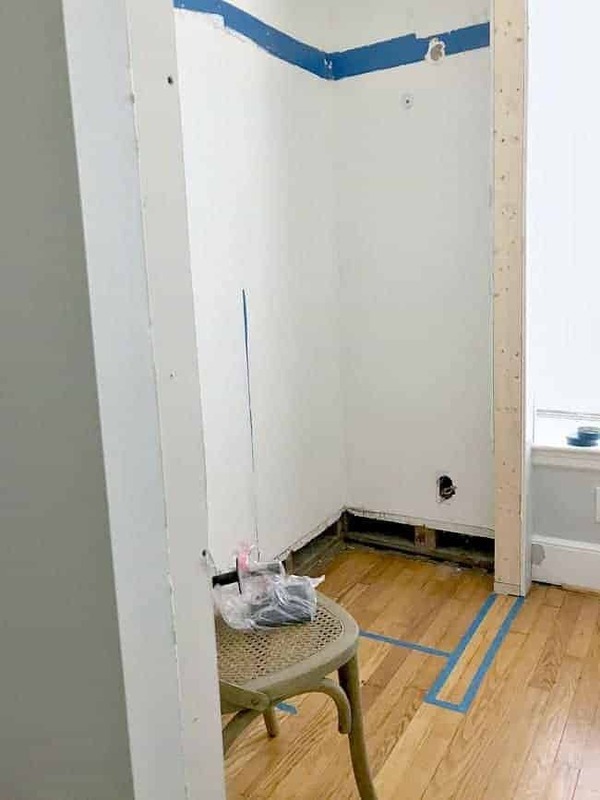 A lot of measuring and planning went into this tiny space. Everything has to fit just so and, of course, nothing is square. Once we had a plan and a list, it was time to shop for supplies. We purchased the lumber and building materials at Home Depot (*affiliate link), but the sink, mirror and lighting were all bought online. 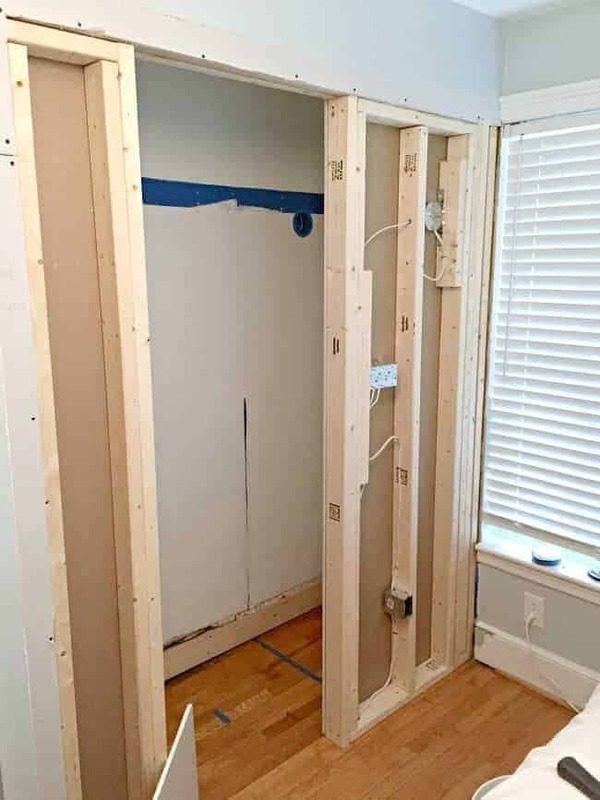 The first thing we had to do was frame the walls and place the electrical boxes. The plan was to add two sconces, one outlet and 2 light switches. 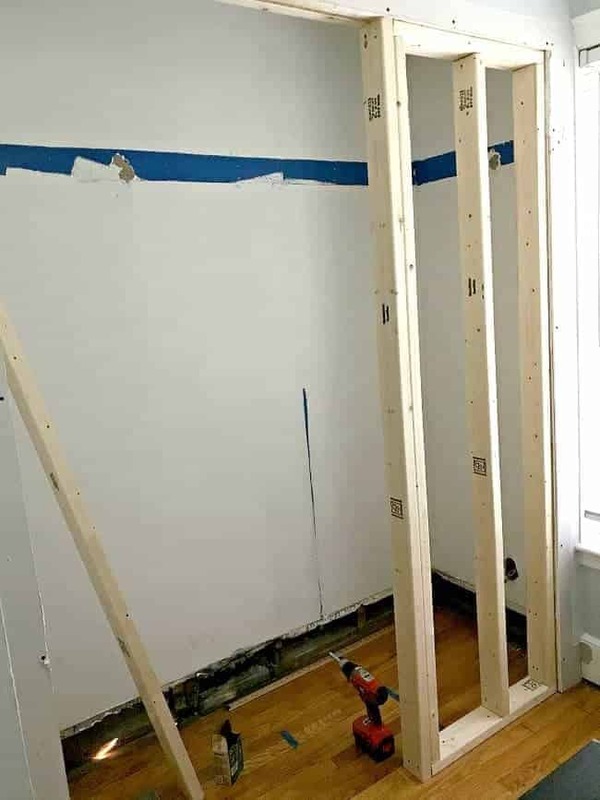 Next we hung the sheetrock on the newly framed walls. We debated between paint and wallpaper but found that the original plaster was in pretty rough shape. After a couple of debates (he wanted paint and I wanted paper), we changed our plans and made the decision to plank the walls. 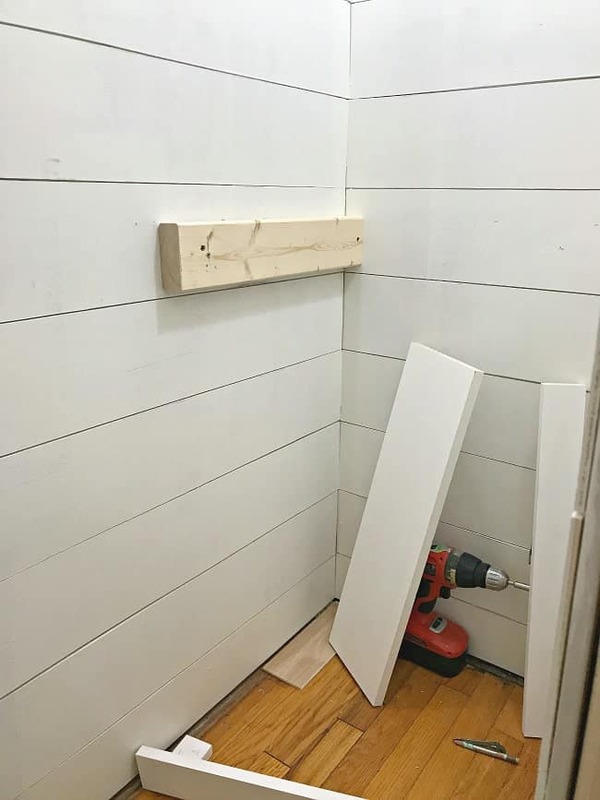 Even though it’s a small room, it took a lot of planks (we used 4 sheets of plywood). We cut the sheets into planks, sanded and painted the edges. I wanted to have spaces between each plank, and didn’t want to see the blue paint showing through, so we threw a quick coat of paint up before we installed the planks. Once the planks were up, I got busy patching and sanding the holes (all 5000 of them). Just kidding…but it felt like it was 5000. Next it was time for paint. I went with Benjamin Moore Advance in White Dove to help the space feel bigger and brighter. We used this same paint color on our kitchen cabinets in our Illinois house so I knew I would love it in here. The space is looking great and nothing like the closet it once was. I still have to caulk the ceiling and corners and we need to add molding. The next big project though, is the custom vanity that we’ll build for our new space. This project is coming along quickly and I want to keep you up to date, so I’ll share more next week. It’s all about adding some pretty touches! Another remodel project we did was the kitchen reno in our Illinois house. If you haven’t checked it out yet, you can see more of it here. Your bathroom is beautiful. We are planning on something similar. 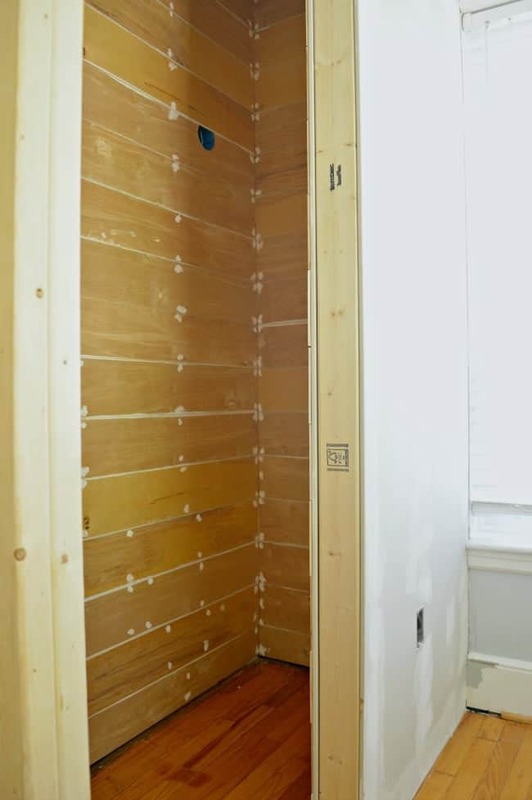 Can you tell me the dimensions of the closet before you turned it into the powder room? I can’t find anything to know if we are ridiculous for thinking our little space is adequate. Thank you! It’s a pretty small space at roughly 31×72. We didn’t think ours was big enough and it took a lot of measuring to figure out exactly how it all would fit. There’s not much room to spare but I think it worked out. Hope this helps. This is looking great! What a great idea. It will for sure add value to the house and more convenience for you. That’s always a win! 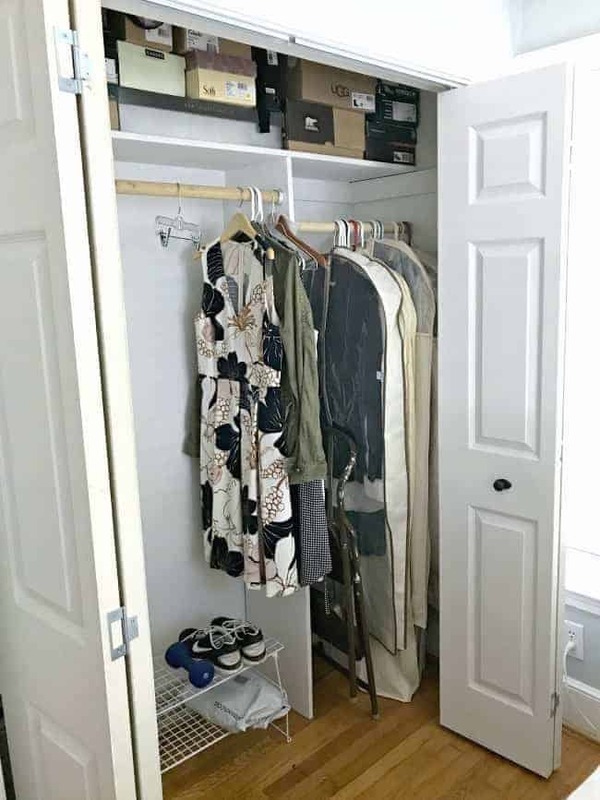 So glad you could add a closet. We added a second bath before my kids hit the teen years. What a treat to have two! Congratulations on your new powder room! Great Job! Thanks Debbie, I appreciate it! Hi Kristie! 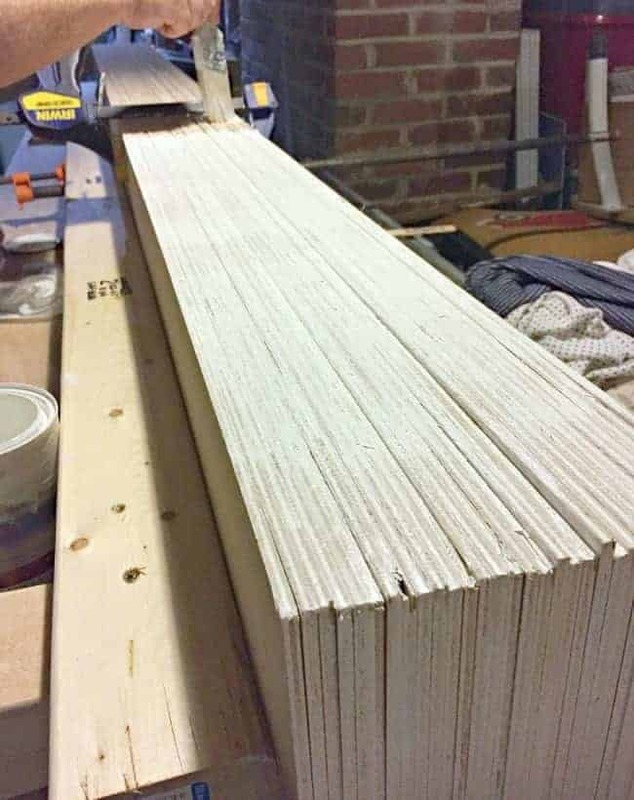 I thought for sure you were doing another plank ceiling somewhere in the house! So lucky you didn’t lose much closet. Can’t wait to see the finishing touches. I have two small bathrooms and it is much easier cleaning. Have a great week and don’t forget to smell the roses once in a while! I’d love to do another plank ceiling but not sure where just yet. I wasn’t sure that I would like the planks in the new space but I really do. It’s coming together nicely, as is the closet space. I too grew up in a tiny house with one bathroom. We all had to schedule our morning time in there!! Poor Dad- with 3 females in the house he had to get up at the crack of dawn to use the bathroom! I didn’t know what a pleasure it was to have 2 bathrooms until I got married and moved out!! 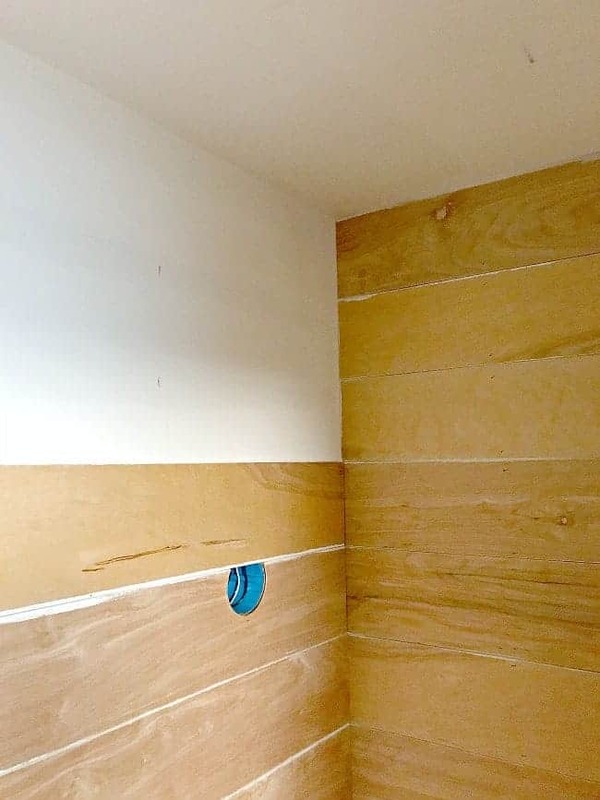 I can’t wait to see your finished bathroom- it looks great already!! 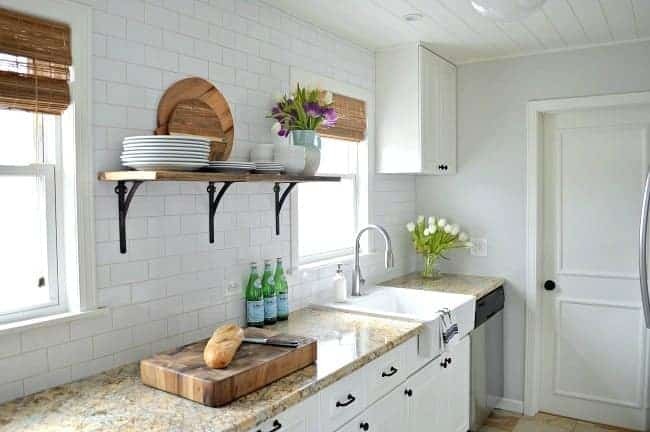 Great job carving out a tiny space and making your life more convenient! Thanks for stopping in to check out our new space. Another one of your brilliant projects! I was the youngest of four girls, raised in a one bathroom house, I can still hear my Dad saying, ” who is in the bathroom now, don’t know what you do in there” Can’t wait to see the reveal. Awww, thanks Jacky for your sweet comment. It means so much to me. 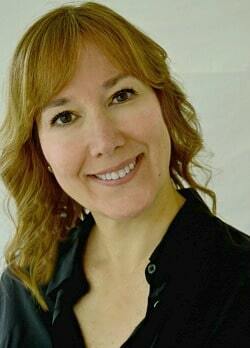 Hi Joan, it’s great to hear from you! We heard about the fire near you. Hope all is well. Very cool! 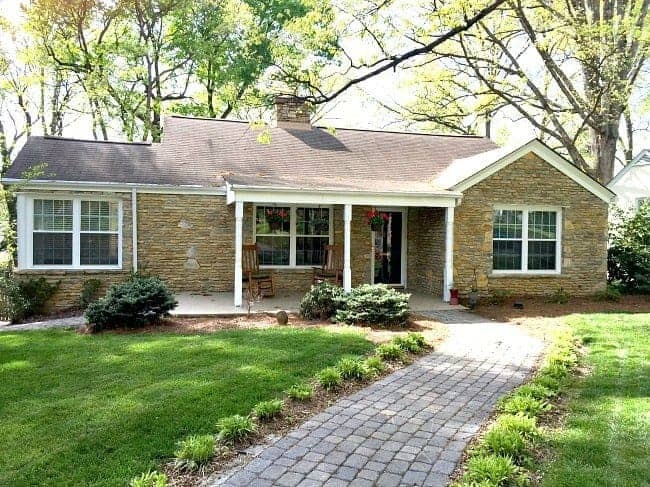 My aunt in uncle in NC had a smallish 3 B I B ranch and had the 1 bath the whole time their three kids were in the house. After the kids were out, they made a small powder bath just like you are doing but their closet was a linen closet at the end of the hall . The closet was probably deeper but not as long as yours. I thought it was a genius idea, and I bet they wish they had done it years earlier. Good luck with your project. Cannot wait to see it finished! Thankfully we had 2 bathrooms in the homes we lived in when our girls were growing up. I don’t think their dad would have ever gotten in the bathroom if we only had 1. 😉 It’s only the two of us, and I guess it’s not a total necessity, but it will be so nice to have that second bathroom, even if it is small. Thanks so much for stopping in Melanie! Hope you’re having a good Sunday! I thought that picture last week was planks of wood but I just couldn’t think what you could be building in the house. Never dreamed you would be building a bathroom. LOL Growing up we never had more than one bathroom. Then when we moved to Florida in my High School years we moved into a house with two tiny bathrooms. I still had to share with three of my sisters but it was heaven. We also didn’t have a shower until then. Loving your plank walls. Ha, I knew that it would be a tough one to figure out. 😉 We have talked about it for so long that I thought it would never happen. I’ll be glad to see it all come together. It’s been almost 5 years since we had more than 1 bathroom so I’m grateful for whatever we can get. You are so awesome. And as I have said to you before, your Illinois house kitchen is the one that made me finalize we are some day doing our ceilings. I know I have said it again and again,but it will happen and you will be the first person I share it with. I can’t wait to see your new bathroom. Keep up the wonderful projects and sharing with us. Take care. Awww, thanks so much Tracy. I’m glad that you are going to plank our ceilings. I know that you will just love it. I’m counting on you sharing it all with me when it’s all complete! 😉 Can’t wait. Wow! It’ a terrific idea – can’t wait to see it when it’ done, and it’ll add such convenience and value to the house. Oh my, your powder room is looking fabulous already! Can’t wait to see it all done!